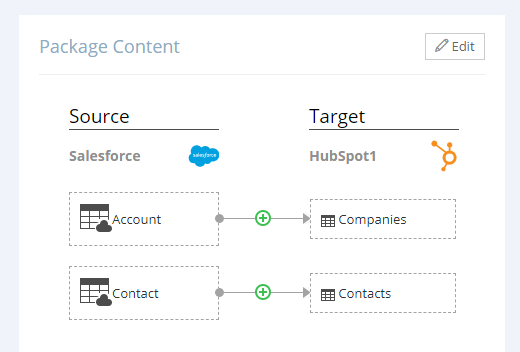 Easily integrate HubSpot with major cloud and on-premise data sources from a single cloud data platform. No coding required! Backup HubSpot data and restore it few clicks. This integration requires both Skyvia and HubSpot. Learn more. 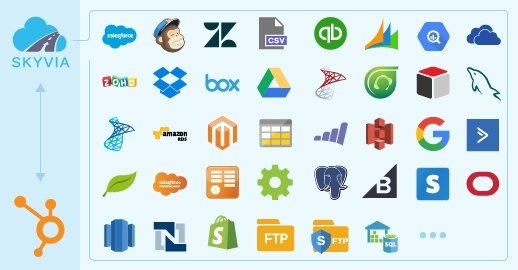 Automate your data workflows by integrating HubSpot with major cloud apps and on-premise data sources. All the integrations are configured visually in a simple no coding interface and can be scheduled for automatic execution. Powerful mapping settings allows you to configure almost any type of integration. You may either want to sync HubSpot with other cloud applications and databases used in your company, or automate export/import of CSV files to HubSpot, etc. Keep your HubSpot data safe with our automatiс daily backup. Quickly find and restore separate records, or simply compare backups and undo changes between them. 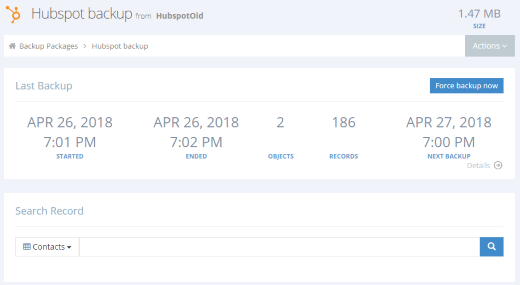 Backup can be configured in a couple of minutes, with no need to worry about your HubSpot data's safety. Your backup is stored encrypted in secure Azure storage, and only you have access to it.